More than 1 million people are engaged on Coca-Cola’s Facebook fan page, making it the most talked-about brand on the social network as of Monday. 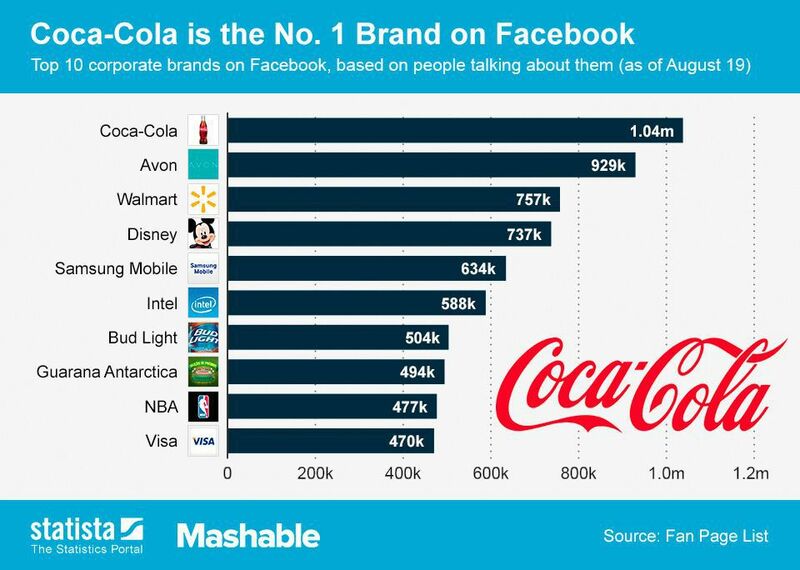 Following Coca-Cola in Facebook engagement are Avon, Walmart and Disney, though no other brands cross that one million benchmark. Statista‘s chart below examines the most engaged brands on Facebook based on the number of people talking about them listed on their brand pages. What are your favorite brands to engage with on Facebook? Let us know in the comments. This entry was posted in Advertising, Business, Business marketing, marketing, Social Media and tagged advertising, brands, coca cola, disney, facebook, marekting, social media. Bookmark the permalink.